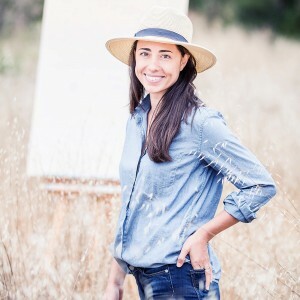 Amber O’Neill is best known for capturing the California Coast in her crisp landscape paintings. Her oil and watercolor paintings are displayed in galleries and homes across the country, and her illustrations are featured in company logos and products such as t-shirt and home textile lines. O’Neill’s latest works include images of iconic California landmarks and simple objects such as surfboards and beach chairs in an almost pop-art style. Her sense of color, light, and shadow makes the viewer stop to appreciate the most humble or overly familiar subjects. Her studio is minutes from the beach near Santa Barbara, and she teaches fine art at Cold Spring School.